Georgia will have 1 runner to move on to the national championship meets on tap next, and its Ellie Hall from Marietta HS. Hall, previously led her squad to the 7A team title back on November 3rd, as the lady Blue Devils won the race easily with 49 points. Hall placed 2nd in that race turning in a 18:39 on the tough Carrollton layout, finishing just behind Woodstock's Brynne Sumner. 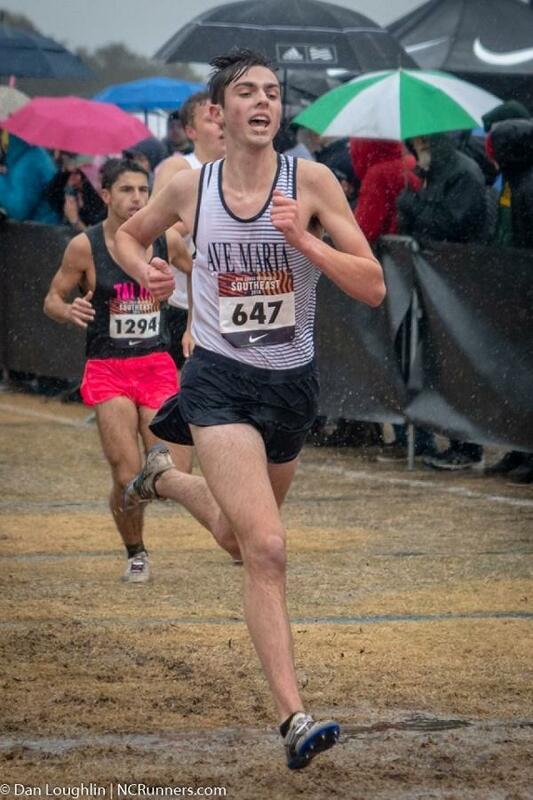 To place 3rd at the NXN SE Regionals is quite a feat considering all the top competition that competed there. 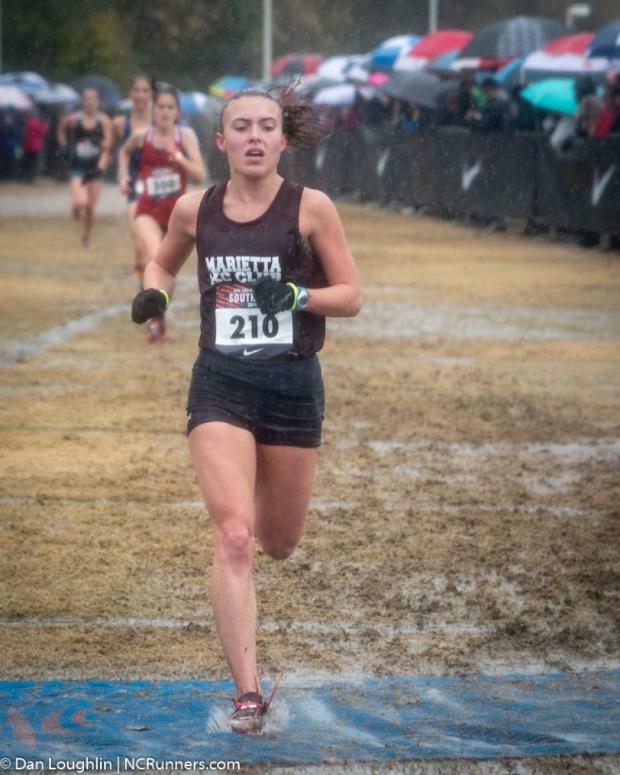 It was cold mud bath up in Cary, NC that morning, and all Hall did was record her HS personal best time in those miserable conditions clocking a 17:48.. which could bode very well for her up at Portland as it rains quite a bit in that area of the country. Marietta did well as a team placing 7th, with Marist following them at 9th led by Kathleen Maley's 26th place finish of 18:50. Head Coach Jack Coleman commented on the Discussion Board about Hall.. "As her coach I couldn't be prouder. She finished her freshman year at 21:00 and went to Oregon that year to watch the our boys team race at NXN. She made it her goal that day to make it back on her own. She put in the work and made the progress year to year to make it happen. Job well done!" Leif Andersen of Marist was the top GA male placing 9th overall going 15:28. Soph Sully Shelton of Harrison HS had an awesome race placing 19th at 15:40 and 6A champ Jalen Murray from Richmond Hill was 21st overall in 15:41. St. Pius X boys were the top Georgia boys squad placing 17th with Rowan Wiley the top Lion clocking a 16:02.